Doing her part! Duchess Meghan is making the world a better place and investing her time in the next generation. The Suits alum, 37, made a surprise appearance at Kings College in London on Wednesday, December 5, to join university leaders, academics and scholarships students from around the world to discuss issues facing modern society. 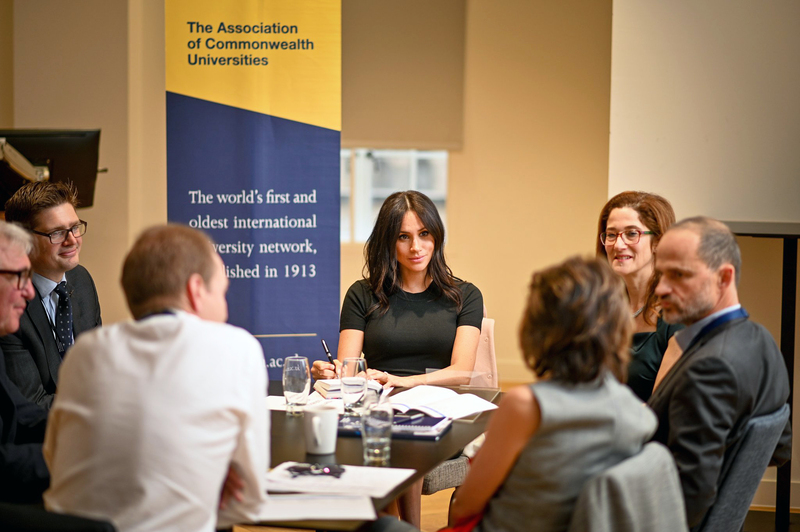 The pregnant royal attended the event, hosted by the Association of Commonwealth Universities, to talk about how research can help resolve human trafficking, slavery, gender equality, peace and reconciliation and climate change. Meghan stunned in a black T-shirt and wore her hair in loose waves as she sat alongside other leaders for the meeting. Pencil in hand, the former actress took notes as she participated in the conversation. The appearance came one day after Meghan attended a Christmas Carol service in London, where she revealed that her bump has popped. 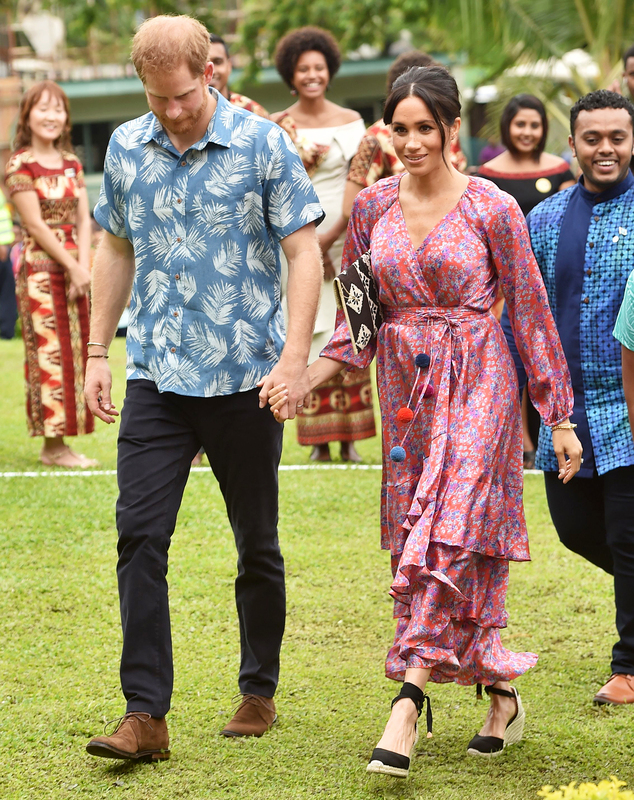 The former lifestyle blogger is expecting her first child with husband Prince Harry in the spring of 2019. The former lifestyle blogger shared another meaningful sentiment about education and women’s rights during a speech in New Zealand later in October.